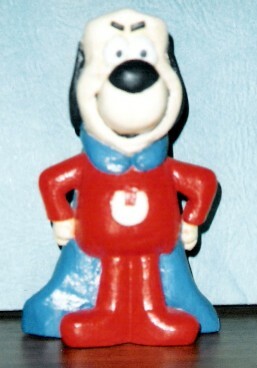 This is a list of Underdog Collectibles that I have collected over the years. I am not done collecting yet. The movie inspired me. Hand Carved Underdog. A friend made this for me in 1991. It cannot be replaced. Copyright © 2007 Diane Nott. All Rights Reserved.